Last Friday (December 6), a group of people calling themselves the National Joint Committee (“Jathika Ekabaddha Kamituwa”) met at the Sri Lanka Foundation Institute for the launch of Manohara de Silva’s book, Bedumwaadeenge Upaya Marga Ha Vivastha Sanshodana (“The Methods of the Separatists and Constitutional Amendments”). 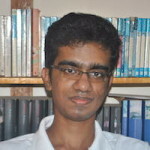 Manohara is a lawyer, a seasoned academic who has been moulded in the tradition of S. L. Gunasekara, H. L. de Silva, and Gomin Dayasiri. Probably on account of the resurgence of nationalism in this country, the event saw packed crowds, people who had come to listen intently to those who offered comment. There were three speakers: Venerable Medagama Dhammananda Thero, Gamini Marapana, and Gomin Dayasiri. All three spoke on the fatal coincidence of law and separatism: how, since the dawn of independence, those who promoted narrow, crass minoritarianism did so by resorting to the Constitution. Dhammananda Thero in particular, remembering the late Sirimavo Bandaranaike, argued quite correctly that more than the leader, it was those surrounding that leader who forced a great many Constitutional provisions which, at the end of the day, provided grist to the separatist’s mill. He offered his solution: lend an ear to the aspirations of the (numerical) majority. First and foremost, I noticed a rupture. A rupture in the nationalist movement. This is not something Sri Lanka has endured for too long, but then again one comes across such ruptures elsewhere. 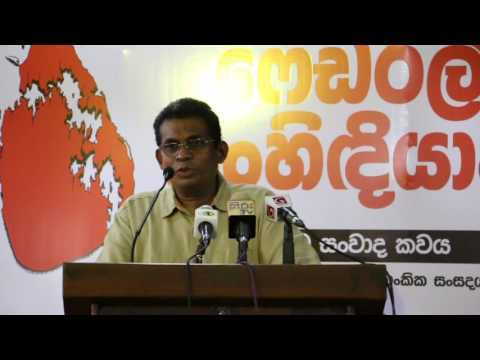 Gomin Dayasiri in particular, speaking on how the likes of S. L. Gunasekara, H. L. de Silva, and himself combated the separatist myth, argued that a national movement of this sort can easily be hijacked, if not contorted, from within. He went on to observe that quite a number of those who have been promoted to lead new political movements have pandered (and continue to do so) to forces that are quite anti-nationalist. He called on citizens to take the movement away from politicians. In this, he is correct. The first. No movement can afford to substitute rhetoric for substance. The nationalist movement in Sri Lanka, however, has always preferred lofty ideals over cohesive action plans. What Manohara de Silva has tried to achieve in his book, at the outset that is, is bring the movement closer to the legal sphere. In itself, this is laudable, though hardly enough. As I have always said or rather implied in my column, what the nationalists in this country lack isn’t support, but substance. I believe Gomin Dayasiri put it best: we are content in being jubilant after victory, rather than assessing the ground situation and planning for the future. Without a healthy dose of sobriety, can any nationalist campaign survive? I think not. The second. If nationalism is the last refuge of the scoundrel, then it goes without saying that it’s a refuge of the politician. Being fixated on such politicians will not salvage the movement. If we are to combat separatism, we must first resort to ourselves. Given that we are entering the second year of a government that can’t say one thing without contradicting it days later (I will get to this in next week’s column), I believe that soon enough, the discordant voice of the nationalist will erupt. Whether we can prevail on ourselves to take the movement from the fringe is a question only time can answer, but I know this: flirting with the political to win popularity cannot and will not result in a wholesome movement. Which brings me to the third (and most pertinent) problem. Most of those associated with this movement are, as everyone knows, deeply distrustful if not resentful of Western political agendas. This is reflected in their distrust of Western science, literature, and way of life. Theoretically, there isn’t anything wrong in this, but given that globalisation has become a reality, and given that even many of those leading the movement can’t resist resorting to that same way of life they condemn, I suspect that they may be consumed by the self-contradiction that every ideological revolution houses: the tendency of the revolutionary to be subsumed by the very same forces he or she combats. Let me explain. The likes of Gunadasa Amarasekara (who was there last Friday) and Nalin de Silva (who was not) have been vocal in their condemnation of Western political practices. That is understandable. Professor Nalin, however, has been just as vocal in his critiques of Western science, religion, and literature. His ideological encounters with that eloquent believer in Western science and philosophy, Professor Carlo Fonseka, should convince anyone that the man deeply believes what he says and writes. My question to those who believe (in) him, therefore, is this: since globalisation (or Westernisation) has become a reality we have to put up with, how are we going to reconcile the nationalist and the globalist resident in us? Professor Nalin, let’s not forget, was the man who brought out the political side of the Jathika Chinthanaya, a potent (postmodern) nationalist movement if ever there was one. A careful perusal of his writings (particularly Mage Lokaya) will indicate that he is attacking the very base on which modernity rests. I am not questioning the sincerity of the man (of his intellectual honesty and that of Gunadasa Amarasekara, no one should doubt), but I am worried: we are not living in the time of Mahatma Gandhi and the Anagarika. These were people who could combat Westernisation because globalisation wasn’t in the offing then. Times have changed, though. So have people. How do we adapt to that reality? While we’re at it, let us remember that this was precisely the point at which 1956 failed. The man they opted for to lead their campaign then was someone who did away with his predecessor’s practice of eating egg hoppers in the morning press conference in favour of kiribath, only to spoil the effect by eating that kiribath with a spoon. No, I don’t deny that people have their personal lives, that there is a dichotomy between their public and private face, but I persist: if the contradiction between the public anti-Western thrust and concomitant personal tilt towards Westernisation of this movement isn’t resolved, a Jathika Viyaparayak won’t result. An aberration will. Three problems, three issues. How will our nationalists solve them? Hard to answer, but an answer to it we must find. If the recent past is anything to go by, the next few months will be tumultuous. No less a figure than Dayan Jayatilleka (who is no astrologer) has predicted that 2017 may well be the final year of a unitary Sri Lanka. Whether or not you agree with the man, it’s hard to shake off such a prediction. Where does all this lead us to, though? I mentioned something about a rupture before. A rupture in the nationalist movement. I argued also that there are no pure strains. I can hence conclude on this note.